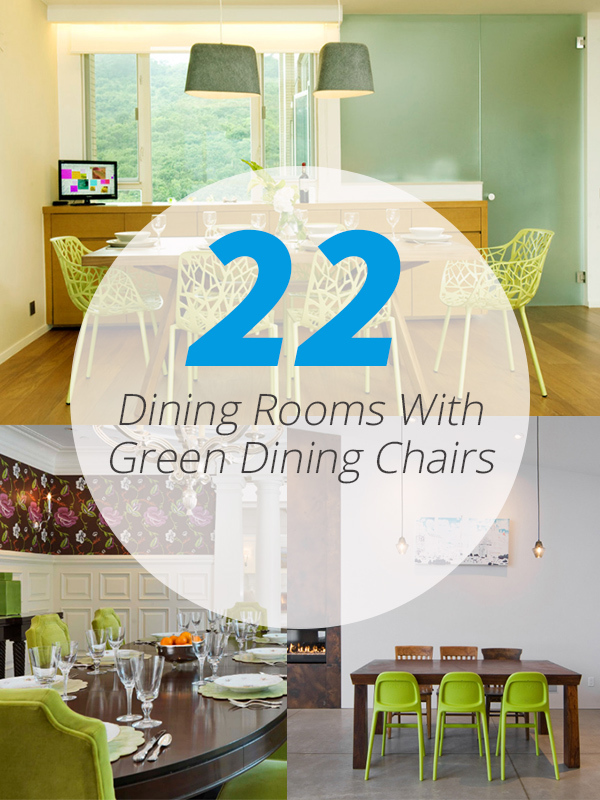 Green dining chairs will no doubt make your dining area more inviting. Although we can see that most dining room chairs are colored white, black and brown, there are other home owners that prefer colorful chairs to bring more life into their dining areas. Some would use red, orange, blue and green. Others use a single color for all the chairs while others prefer to mix them up together not just with a variety of colors but even with a variation of design. 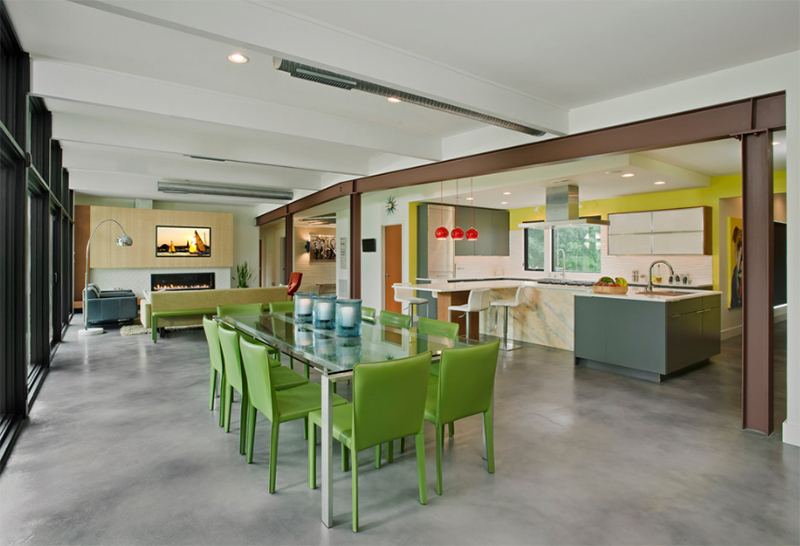 Today, we are going to show you some contemporary dining areas that have green dining chairs. You will see that using chairs of this color can bring a different aura to a space giving it a fresh, rich and refreshing feel- whatever the shade of green is being used. 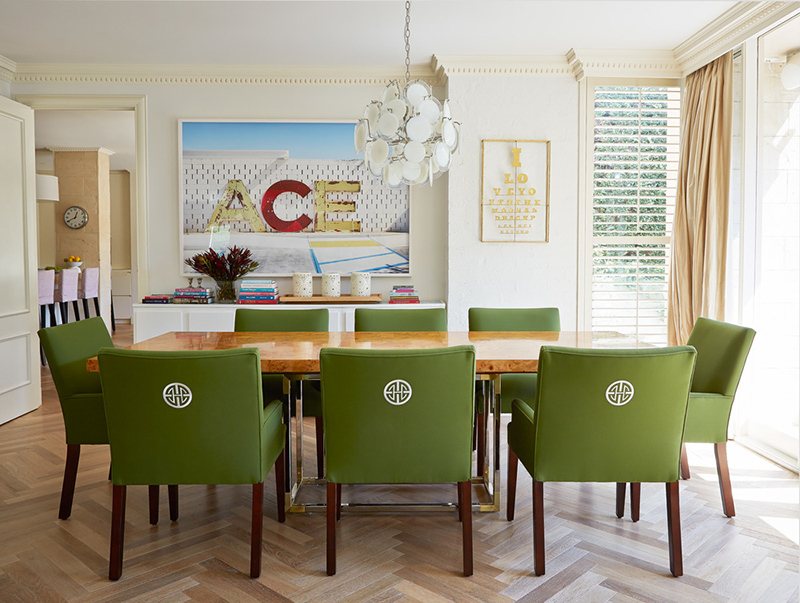 In this round up, you will see how the dining rooms were adorned with chairs of different styles and various tones of green. For sure, you will be able to pick up one dining room design or a dining chair that you like best for your home! It isn’t just the green chairs that I love here but also the pink accents that go well with it. Isn’t this a stunner? 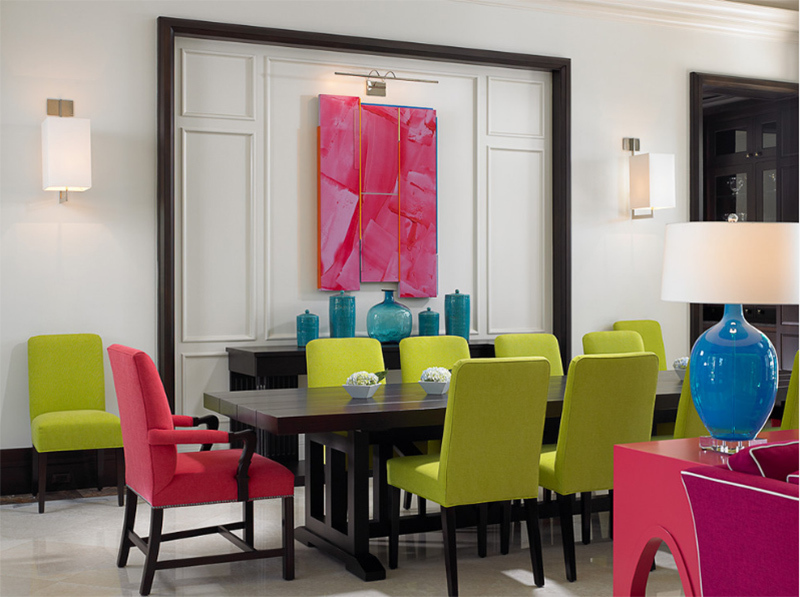 Indeed, we can use other colors for the dining chairs aside from the usual neutrals that we can see in most dining areas. For this dining area, it has some subtle classical touch but it does look really nice with those comfy velvet chairs. 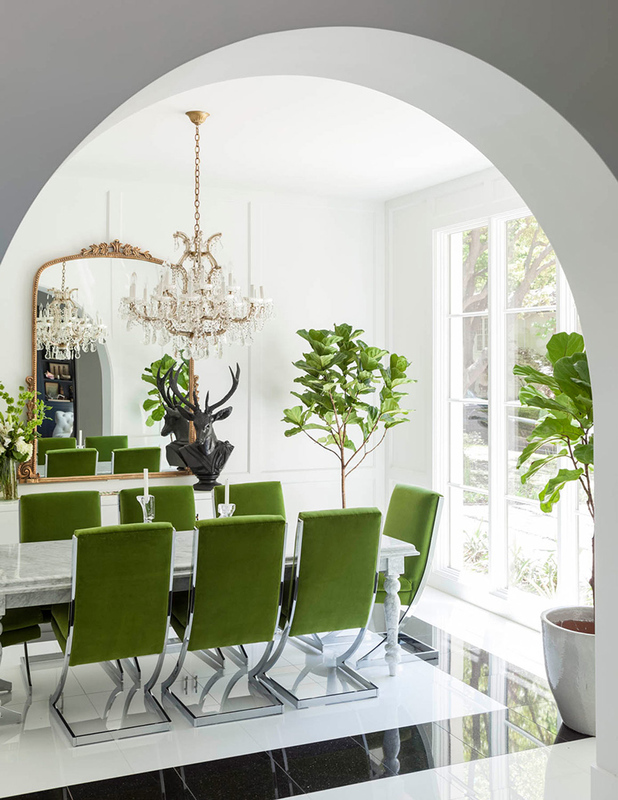 Aside from the green modern chairs, what I love here are the plants added in the area as well as that black deer sculpture and the crystal chandelier. Just lovely! 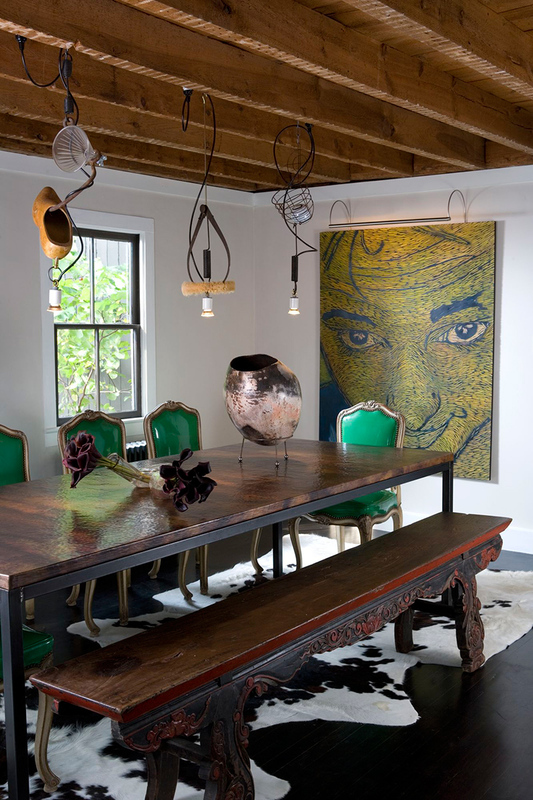 Leather green chairs with nail head trims were used in this dining area. And it looked really nice with the wooden flooring. Chairs come in different materials too like this one that is made of leather while others are made of plastic, metal and wood. 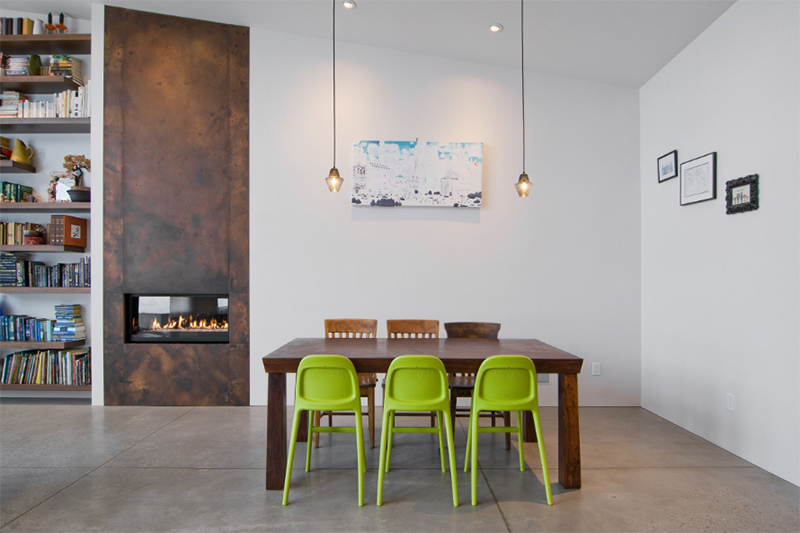 Isn’t this striking despite the simple lines in the dining chairs? Yes, it looks really beautiful indeed especially with the lighting above it. This dining area has chair colors that are similar to the previous one but this one is darker and they surround a round glass dining table with mirrored base. A beautiful dining room despite the simple design. 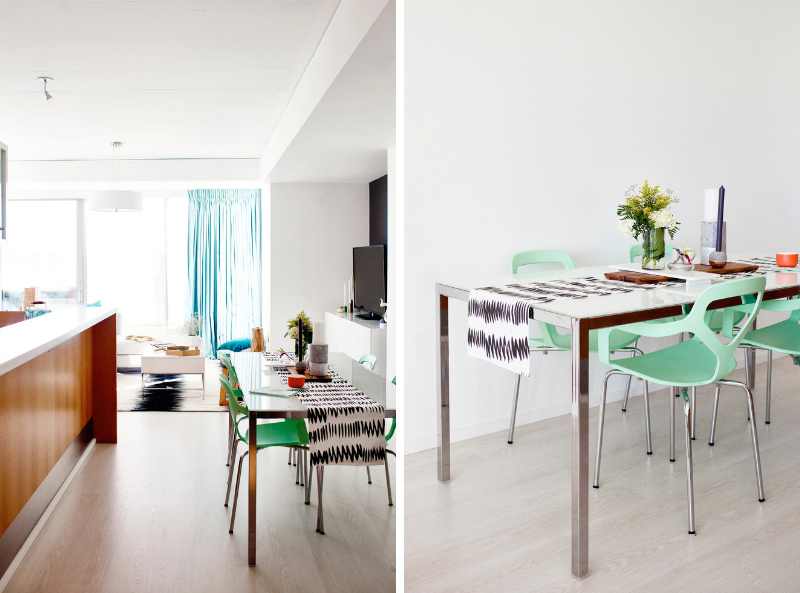 I like the combination of the green chairs and the wooden dining table. You will surely notice the detailed wooden carvings on the bench which can also be seen on the chairs too that are covered with green. 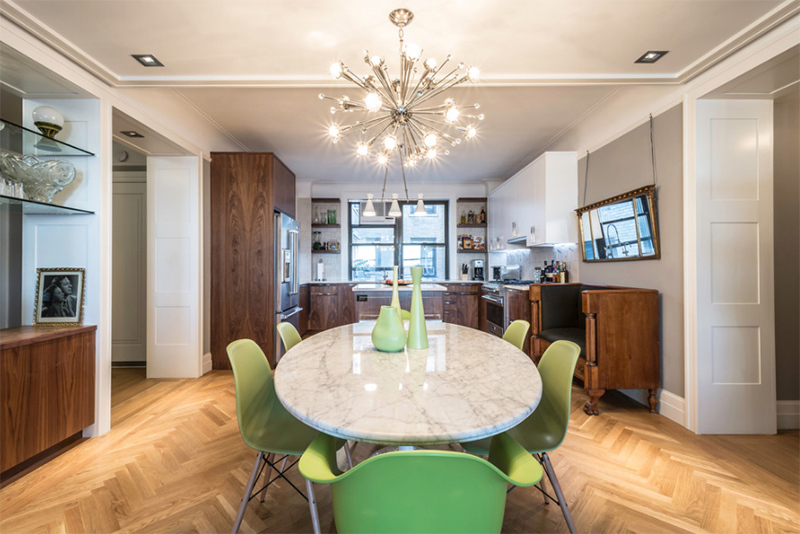 For this dining area, the owner used green chairs and wooden ones together in one dining table. It looks great, right? It sure does! Well, the name of this space is indeed perfect for how it looks like. it is indeed simple and elegant! Aside from the color, I like the design of the chairs. The dining chairs here are edgy but they look comfy! The pendant lights used in the area bring in some subtle Asian look in it. I have seen these chairs in many different spaces in the house and yes, it is available in green as well. Very nice, right? With the looks of it, I can tell that this home is a product of a DIY from the letters and the decors. 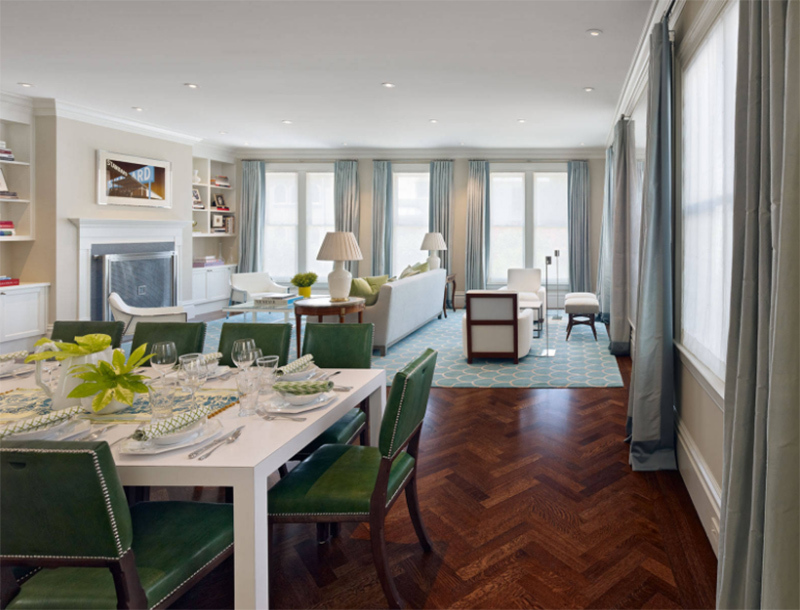 The grass green chairs that are upholstered bring appeal to the entire area. A minimalistic dining area with pretty geometric chairs on it. I so love the design of these chairs. They are just very attractive! Who wouldn’t love the elegance and the beautiful geometric design and texture of these chairs? Although the space is all white and gray, it looked divine this way! 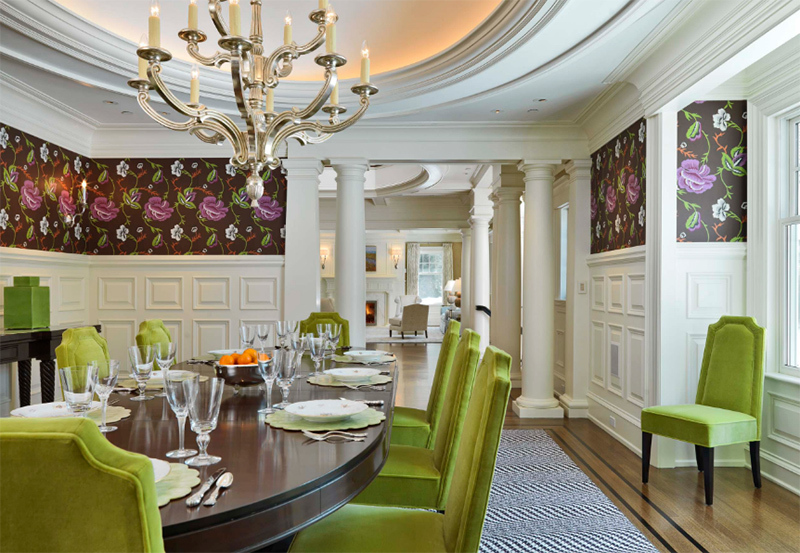 Tufted dining chairs in green look really comfy in the dining area with patterned wallpapers and a crystal chandelier. The chairs used here are similar to another dining room in the list and it is very beautiful! 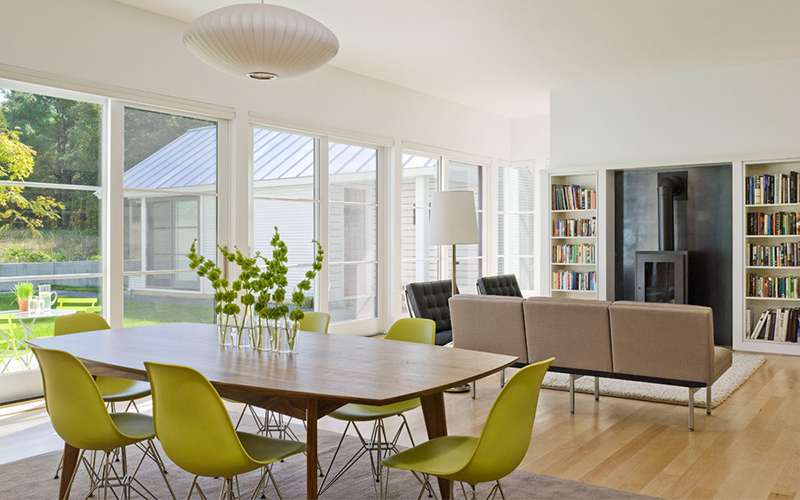 We often see this kind of chairs in modern and contemporary spaces. 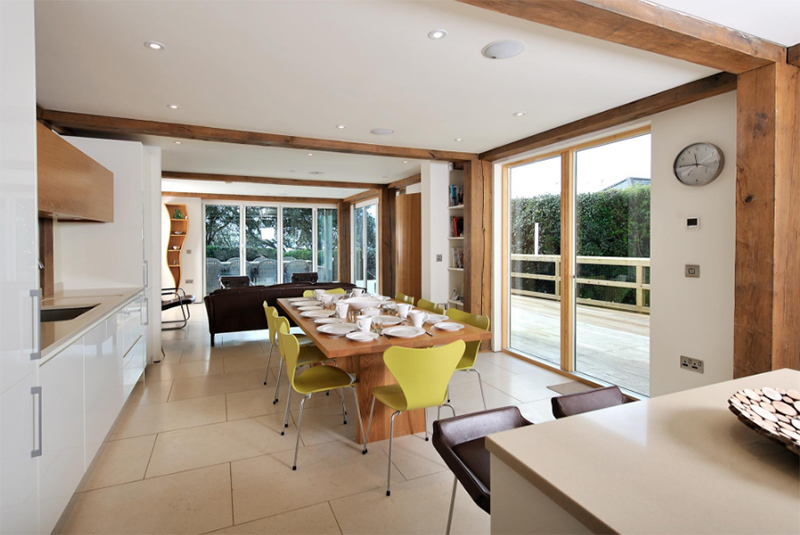 A spacious home has an open layout wherein a dining area, kitchen and living area are integrated. 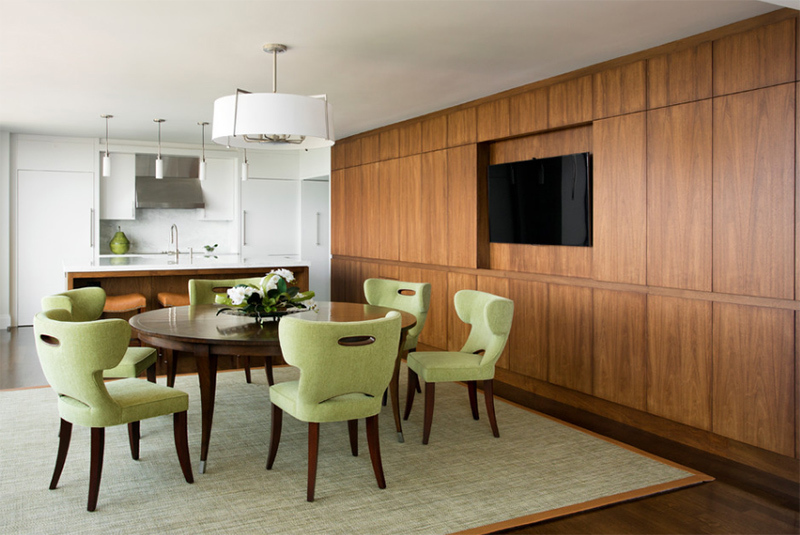 You can see that the dining area use green dining chairs around a glass table. I know that you will agree with me that these are extremely unique chair designs and it has created a totally artistic space. The walls here looked busy because of the patterns of the wallpaper but it I admit it, it made the room looked unique as well. The contrasting wall colors are nice backdrops to the green chairs and curtains. A simple loft doesn’t look dull like what you might expect. It actually looks really nice and beautiful because of its use of patterns and colors. 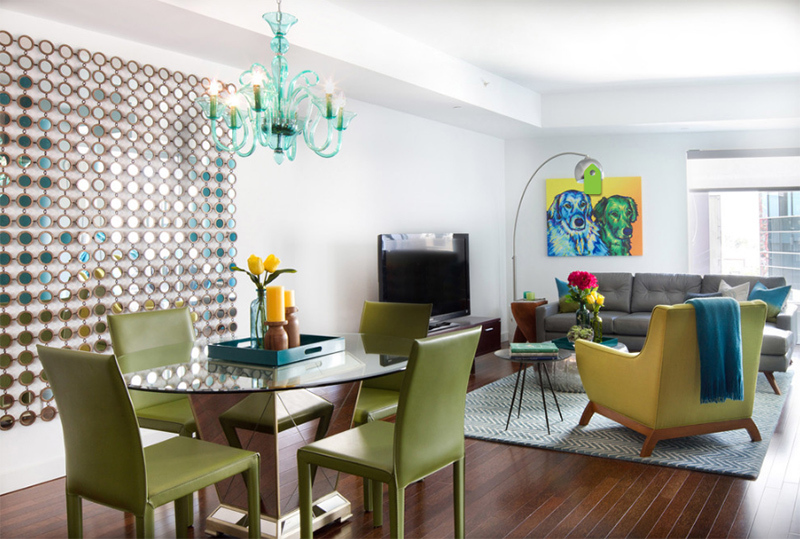 Well, this one use a mix of colors but you can notice that there are different shades of green used here which is also a good idea for a contemporary space. 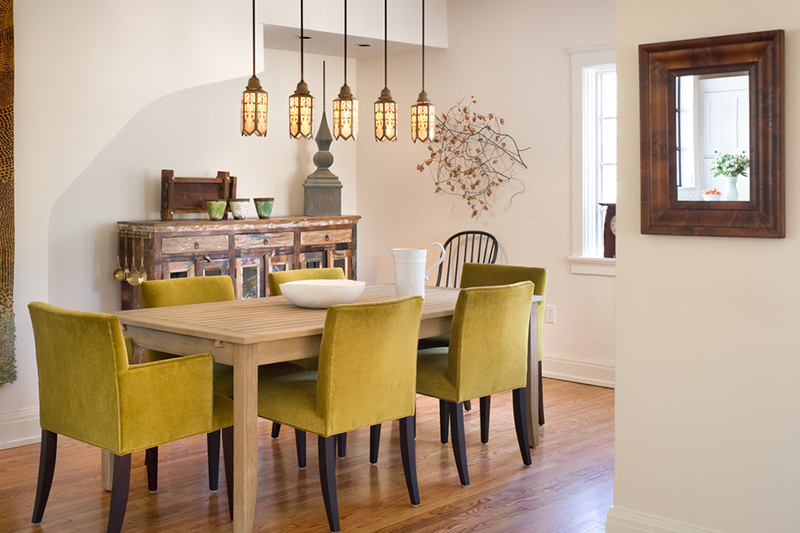 Isn’t it nice to see green dining chairs in your dining area? I sure is! Instead of the usual colors that we use in the space, we could actually use chairs that look exciting and fun! For sure if you do that, you will give your home a more stunning appeal and the effect will not merely be in the dining space. Well, if green is your favorite color, then you would no doubt love this list!